The Tesla Model 3 is even cheaper now, Elon did a tweet that actually benefits him, Trump talked about trade and infrastructure during the State of the Union last night, and more for The Morning Shift for February 6th, 2019. 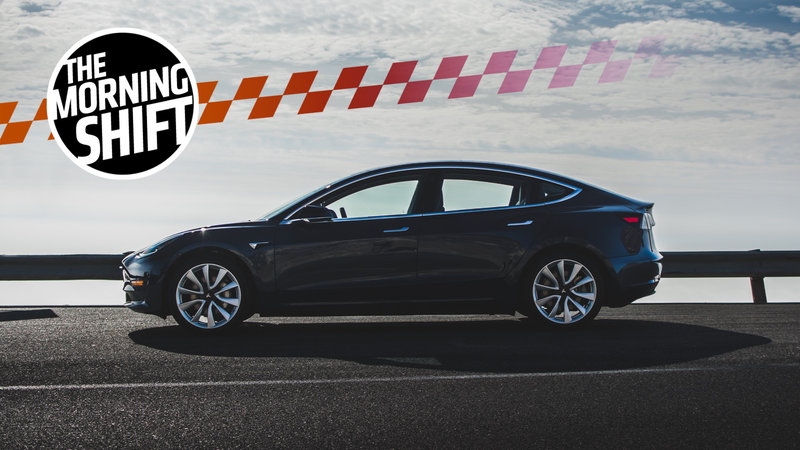 1st Gear: How Low Can the Model 3 Go? Back in early January, Tesla cut the price of its entire lineup by $2,000 to help offset the company losing the benefit of the full $7,500 federal tax credit for buyers, which dropped to half after the company surpassed the incentive’s production limit last year. Now, Tesla has cut the price of just the Tesla Model 3 yet again, this time by $1,100, which puts the car’s starting price before incentives now at $42,900, Automotive News reports. Tesla cited the recent end of its costly referral program as the reasoning behind the additional discount, according to Auto News, though there is also some who worry among Wall Street that demand for the Model 3 in the U.S. has been exhausted, and everyone who wanted the mid-range or long-range version has already bought one, as Reuters reported last week. Cowen analysts claimed Tesla was dealing with around 6,800 cars of unsold inventory, which is a sign of lacking demand. Meanwhile, the company is focusing on delivering the car to Europe and China as well as working to prepare the upcoming Model Y crossover for production. Yet there still is no “affordable” $35,000 Tesla Model 3 that was promised, which could be enough to boost demand. It’ll be interesting tracking demand for the Model 3 in the U.S. over the next year, but it looks like the Model 3's moment may already be passing. 2nd Gear: It’s Infrastructure Week Again, Baby! The President reopened the government for a few more weeks and got to give his big speech last night, where he denounced the outgoing NAFTA agreement, praised the upcoming USMCA agreement which is based on NAFTA, and talked about one of his only good policies so far, which is repairing America’s crumbling infrastructure. The issues with Trump’s praise of the USMCA trade agreement between the U.S., Mexico and Canada is that it hasn’t been approved by Congress, and nobody seems to be happy with it yet. Auto News reports, however, that UAW President Gary Jones is unhappy with it as it doesn’t go far enough in prioritizing the American worker, claiming that autoworker wages have slumped 25 percent in the last few decades. Some Republicans want to remove the steel and aluminum tariffs included in the current draft of the agreement because of the retaliation from Mexico and Canada targeting U.S. agricultural production. Democrats want to reopen trade negotiations to push for more labor protections, but have been told reopening negotiations is not option. It sure seems like the USMCA isn’t so great, and may not make it very far through Congress. We’ll see. So, while his proposal to improve American infrastructure remains, it actually somehow became even more vague than his efforts in the past. Despite this, work is actually getting done on what an infrastructure overhaul would look like, Reuters reports, with the acting EPA chief touring the country hosting events on infrastructure, a house panel meeting on the topic this Thursday, and Representative Peter DeFazio, Chairman of House Transportation & Infrastructure Committee, claiming he’s actively holding discussions with administration officials. We’ll see if anything gets done, this time. Seems like it would be easy, as it should be something most politicians can find a way to agree on. As General Motors lays off 4,000 salaried workers, with up to 14,000 more jobs on the chopping bock as it “restructures” its product portfolio by cutting slow-selling passenger cars, Wall Street is happy with the company’s 2018 earnings report where it exceeded expectations. “Results were driven by strong pricing, surging crossover sales, successful execution of the company’s full-size truck launch, growth of GM Financial earnings and disciplined cost control,” the company said in a statement. Separately, CNBC reports, GM is looking to add 1,000 workers to its heavy-duty pickup production line in Flint, Michigan, prioritizing workers that have been laid off, as it also looks to help find work for 1,500 other workers affected. The growth in its heavy-duty pickup workforce makes sense on the heels of the new Silverado HD that’s showing up to the Chicago Auto Show later this month. Speaking of GM trucks, that’s where the money is at for GM, bankrolling the company’s plans to rapidly scale up its hybrid and electric offerings in the next few years, with Cadillac leading the pack. As Bloomberg points out, it’s going to be diesel trucks that keep the future sustainable for GM while it figures out how to build and sell electric cars to a buyer who, well, still wants a crossover or pickup truck. Bloomberg reports that GM’s trucks returned over $2 billion in pre-tax profits last year, which is how the automaker can afford to cover stuff like the $1 billion bill on the self-driving technology development done by the company’s Cruise unit. It’s also useful in bankrolling the company’s EV development as the entire industry is expected to collectively spend over $300 billion developing alternative fuel cars and self-driving tech by 2022, Bloomberg claims. as confirmed by Mercedes-Benz CEO Dieter Zetsche, via Bloomberg. He added that the “outcome is open,” so we’ll see if Tesla can tackle another project on a plate stacked high with projects. This type of blatant German defiance of Wilson’s warning about the consequences of unrestricted submarine warfare, combined with the subsequent discovery and release of the Zimmermann telegram—an overture made by Germany’s foreign minister to the Mexican government involving a possible Mexican-German alliance in the event of a war between Germany and the U.S.—drove Wilson and the United States to take the final steps towards war. On April 2, Wilson went before Congress to deliver his war message; the formal declaration of U.S. entrance into the First World War came four days later. Neutral: Will the $35,000 Model 3 Make a Difference? Can Tesla really just keep bouncing from new model to model, or is the time quickly approaching when it needs to find ways of sustaining its current products alongside the new introductions? Would an affordable Model 3 actually boost demand, or is price not the issue here?